The Viking Sky was returning from the Arctic with a reported 343 tonnes of HFO on board, when it nearly grounded. The ship, owned by Viking Cruises, experienced engine problems in rough seas on Saturday. 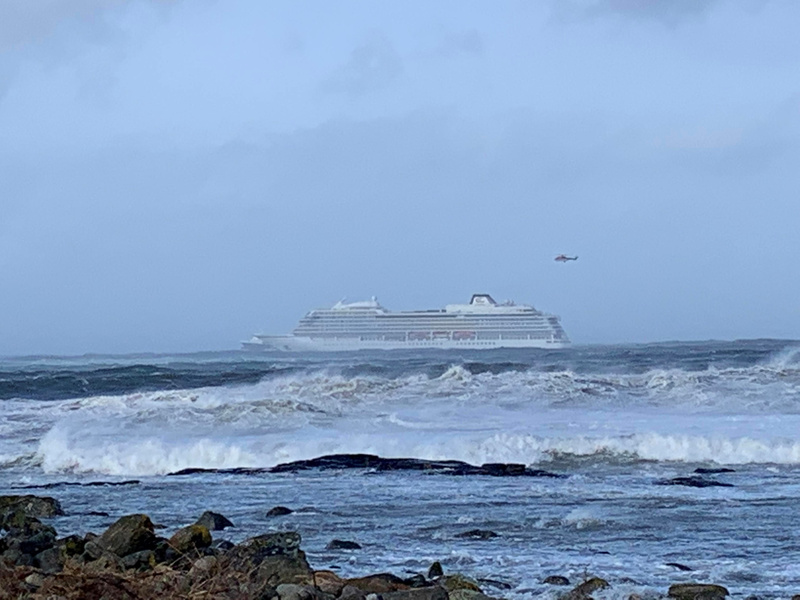 After its engines finally restarted, the ship finally reached safe harbor yesterday in Molde, Norway, but not before it nearly grounded on rocks about 900 meters from shore where it had stopped and anchored. The Viking Sky was reported to be carrying 343 tonnes of HFO on board. Prior said the lives of the passengers and crew are at stake as well as those involved in the response and rescue — ”which in remote Arctic locations is likely to include Indigenous and coastal communities with minimal or no equipment and training,’ she said. A spill of HFO is likely to take months to years to be completely cleaned up, she said. The International Maritime Organization, the United Nations agency with responsibility for the safety and security of shipping and the prevention of marine pollution, wants to see a ban of HFO in the Arctic, which would be adopted in 2021, and phased in by 2023. HFO is already banned throughout Antarctica, as well as in the national park waters around the Norwegian Arctic archipelago of Svalbard. But before banning HFO, Canada has called for assessments into the impacts of an HFO ban on Arctic Indigenous communities. That’s although the Inuit Circumpolar Conference and Nunavut Tunngavik Inc. have come out in favour of an Arctic HFO ban.